Many couples are encountering challenges in getting pregnant and infertility diagnosis is done after a number of tests and procedures are performed by your doctor and fertility specialist. What we call a fertility work-up will consist of physical examinations and laboratory tests to determine the cause of infertility and will most likely include lifestyle inquisitions, sexual habits and family history. Once diagnosed, infertility treatments ranging from IVFs, IUI, ZIFT and GIFT are available for couples trying to conceive. How much will I invest in these fertility treatments? Every woman requires a unique fertility plan and this may require individualized treatment packages. Most fertility health centers have fertility packages that cater to both the fertility needs and financial limits of the patient. However, most insurance companies do not carry coverage on packages but covers individual procedure. You may speak with your fertility center administration to help you maximize your insurance health and fertility coverage. An IVF cycle costs range from USD 4,000 to USD 12,500, excluding IVF Drug fees. It’s no wonder that most couples without fertility treatment plans would opt to give up on conceiving a child. 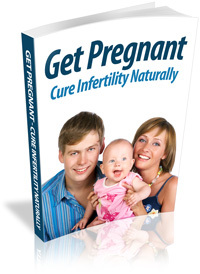 Fortunately, infertility insurance is now being offered by a number of insurance providers. If you are employed, discuss fertility insurance coverage with your employer and health care provider to learn the facts of your coverage. Infertility insurance is a kind of health insurance that covers fertility diagnosis and treatments including IUI and IVFs, artificial insemination and other assisted reproductive technology. With a minimal monthly premium, infertility insurance gives you coverage on specific fertility treatments, provide refund programs and allow you access to financing avenues to help you conceive. What to look for in choosing an Infertility Insurance Plan? 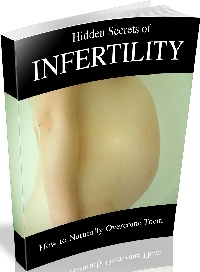 Make sure that your infertility insurance covers foremost all the diagnostic tests. Getting pregnant is a difficult process, and getting diagnosed of infertility equally indicates a long journey as well. Your insurer must be able to cover your regular trips to your fertility specialist for consultations, as well as diagnostic tests to determine the causes of infertility and pinpoint which ART you should be undergoing. Is Infertility Insurance mandated by Law? Infertility Insurance coverage depends on the state where you are residing. Some places in the United States mandate the coverage of fertility treatment, albeit with some restrictions. It is important to check the specific laws governing fertility insurance as most states require employers with more than 50 employees to provide infertility coverage for their workers. To cite, California Law requires infertility insurance, covering infertility diagnosis and treatment but excludes IVF. In Illinois, comprehensive insurance coverage is being offered by insurance companies including up to four IVF procedures and mandates this coverage to employers with more than twenty-five workers. Am I qualified to be covered? Generally, Insurance providers require specific qualifications for people to be included in the coverage. Most of the time, one should be at a policy holder of at least a year, less than 40 years old, and has been struggling to conceive for the past year to five years. In some states that do not mandate infertility insurance coverage, specific qualifications for available insurance coverage will differ from one provider to another. It is important to note the differences, even with states that mandate coverage, and learn to weigh the pros and cons of each policy. Infertility Treatment may be a long and difficult journey, but the planning out conception by knowing your rights and learning more about your insurance coverage will help you alleviate the financial and emotional stress that comes along with infertility treatment. Your specialist may be able to recommend the best insurance policy that will suit your needs and your specific treatment requirements. Most fertility health centers provide free counseling and advice on fertility treatment packages and insurance cover packages. Do not hesitate to learn about infertility insurance by checking your state’s laws, and employers’ insurance health coverage and compare other insurance policies with your existing one.